Inevitably a conversation piece over supper, the Miro Dining table takes its shape from the familiar hammered arcs of its family members. Forged metal curves are fused together in an ellipse shape and decorated by hand in one of Porta Romana's stunning paint finishes. 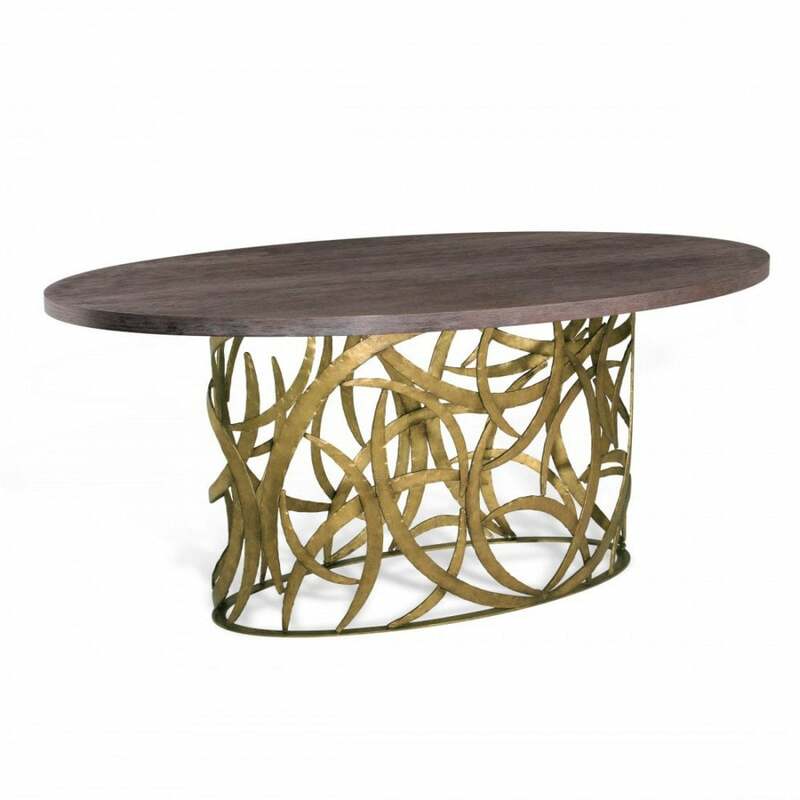 A rather spectacular oval top crowns the piece; made up of solid oak with a deep grain and limed finish. A stunning figure head of the ever popular Miro Family. Available in Burnt Silver or French Brass with Oak top.